Two Rivers Community School developed an educational model drawing from the best aspects of K-12 education. Founded on the design principles of Expeditionary Learning, Two Rivers strategically and purposefully fused those principles with core beliefs that center on the needs of each child, building and serving our school, local, and global community, and environmental responsibility. Our aligned academic program focuses on the development of each child into a confident, responsible, empathetic leader with the personal and academic drive and skills to make positive impacts in our local and global communities. 1. 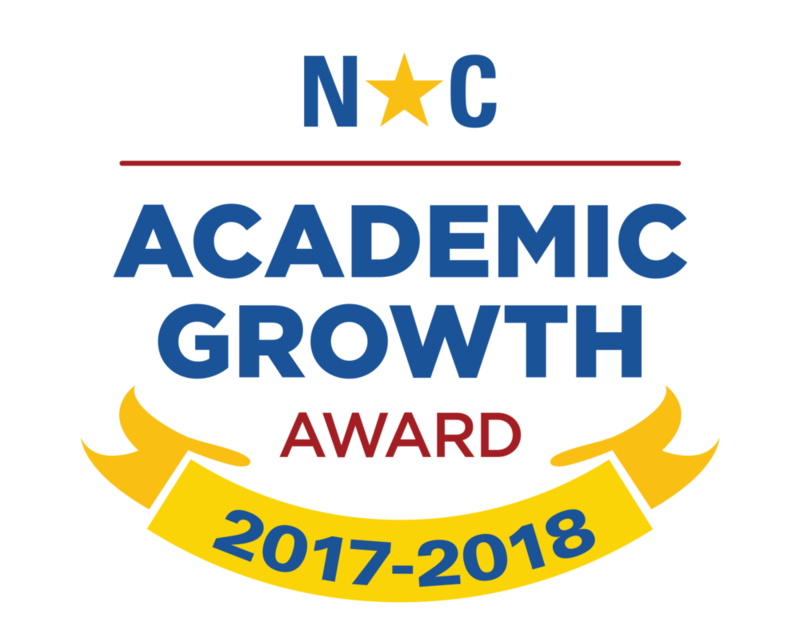 Communicate & Collaborate: Students will be competent writers and public speakers, able to work individually or in a team, with mastery of North Carolina’s English Language Arts Standards. 2. Provide Service and Have Compassion for Others: Students will work on service projects each year in Kindergarten through 8th grade at an appropriate developmental level with a culminating project in 8th grade. 3. Assume Responsibility for Their Own Learning: Students will be accountable, self-motivated and curious life-long learners with the skills and discipline to pursue their dreams (time management, organization, critical thinking). 5. Understand Why and How to Become Good Stewards of our Natural World: Students will understand the value in practicing conservation, sustainability, and stewardship. Students in grades Kindergarten through grade 7 build skills that will lead to a successful Passage Portfolio through a presentation to their parents each year that is aligned with the requirements of the Passage Portfolio. SPARK: Student behavior guidelines are a set of positive expectations that successful students exhibit. Each day we recite a “model citizen” pledge based on our roots in Expeditionary Learning. Students and teachers strive to celebrate the principles daily. A). The Primacy of Self-Discovery: Learning happens best with emotion, challenge and the requisite support. People discover their abilities, values, passions, and responsibilities in situations that offer adventure and the unexpected. Students undertake tasks that require perseverance, fitness, craftsmanship, imagination, self-discipline, and significant achievement. A teacher’s primary task is to help students overcome their fears and discover they can do more than they think they can. B). The Having of Wonderful Ideas: Teaching in Expeditionary Learning schools fosters curiosity about the world by creating learning situations that provide something important to think about, time to experiment, and time to make sense of what is observed. C). The Responsibility for Learning: Learning is both a personal process of discovery and a social activity. Everyone learns both individually and as part of a group. Two Rivers Community School encourages both children and adults to become increasingly responsible for directing their own personal and collective learning. D). Empathy & Caring: Learning is fostered best in communities where students’ and teachers’ ideas are respected and where there is mutual trust. Learning groups are small, with a caring adult looking after the progress and acting as an advocate for each child. Older students mentor younger ones, and students feel physically and emotionally safe. F). Collaboration & Competition: Individual development and group development are integrated so that the value of friendship, trust, and group action is clear. Students are encouraged to compete, not against each other, but with their own personal best and with rigorous standards of excellence. G). Diversity & Inclusion: Both diversity and inclusion increase the richness of ideas, creative power, problem-solving ability, and respect for others. Students investigate and value their different histories and talents as well as those of other communities and cultures. Schools and learning groups are heterogeneous..
H). The Natural World: A direct and respectful relationship with the natural world refreshes the human spirit and teaches the important ideas of recurring cycles and cause and effect. Students learn to become stewards of the earth and of future generations. I). Solitude & Reflection: Students and teachers need time alone to explore their own thoughts, make their own connections, and create their own ideas. They also need to exchange their reflections with other students and with adults. J). Service & Compassion: We are crew, not passengers. Students and teachers are strengthened by acts of consequential service to others, and one of Two Rivers Community School’s primary functions is to prepare students with the attitudes and skills to learn from and be of service. K). Changemakers: In order for students to find their own voices and make a positive impact on the world, they must master “changemaker skills” (empathy, teamwork, leadership, and problem-solving). Knowledge of our natural world and knowing how to enjoy it while caring for it, preserving our natural resources and beauty for future generations is central to the philosophy of Two Rivers Community School. In addition to classroom trips and daily outdoor experiences, every student has an opportunity every year in grades Kindergarten through 8th to experience off campus outdoor education with a full-time professional outdoor education staff. In grades Kindergarten through grade two, these are day trips. Overnight trips begin in 3rd grade culminating with a 3-day Back-Country Adventure Trip in 8th grade. Examples of regular outdoor education at Two Rivers include: Adventure Fitness, Service Projects, and the Garden Education Program. Two times per year each classroom engages in an in-depth integrated study; one study is a Social Studies Topic and the other study is a Science Topic. Each student prepares an exhibition for a public audience to share the knowledge they have gained during the learning expedition. Learning expeditions should include authentic connections to our community (i.e. fieldwork, experts) and project or performance based assessment. Activity and time in the outdoors in important at Two Rivers. Every student receives at least two sessions per week in Adventure Fitness. Except on the wettest or coldest days, students participate outdoors. All students in grades Kindergarten through 8th grade get at minimum one outside break time during the school day. The Two Rivers Model believes that going outdoors and having opportunities for movement are vital to healthy living and essential to learning. Brain Gym is a movement based program committed to the principle that moving with intention leads to optimal learning. Brain gym teaches students how to use movement to calm or energize themselves. It builds an awareness of the value of movement in daily life and helps students develop the ability to notice and respond to movement based needs. It encourages students to take charge of their own leaning, creativity, and self-expression. Two Rivers Community School believes that developing multiple means of expression helps students in their ability to view the world through different lenses, increasing creativity and understanding. Art class integrates content from classroom curriculum when possible. Students will visit the art studio twice per week. 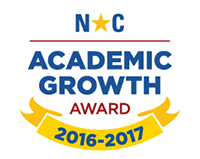 Keeping academic success and achievement at the core of every student experience. Utilizing the latest findings of brain based research to facilitate learning environments. Respecting every child’s individual learning styles. Producing exemplary, hands on learning expeditions that embody service and meet high academic standards. Utilize the latest technologies to expand learning environments. Presentation of relevant and place-based materials and content making for a more meaningful learning experience. Provide a supportive and compassionate environment that promotes cooperation and teamwork. The information below is based on North Carolina end of grade test scores.